Exclusive pictures of the Stainless Steel Lange Tourbillon "Pour le Merite"
In the early days of the manufacture, the leadership of the company, principally Mr Gunter Blumlein made some difficult decisions to make special edition watches for special customers...he subsequently stopped this practice, as it creates considerable headaches for the company to dedicate resources to creating special pieces and balancing the demand. 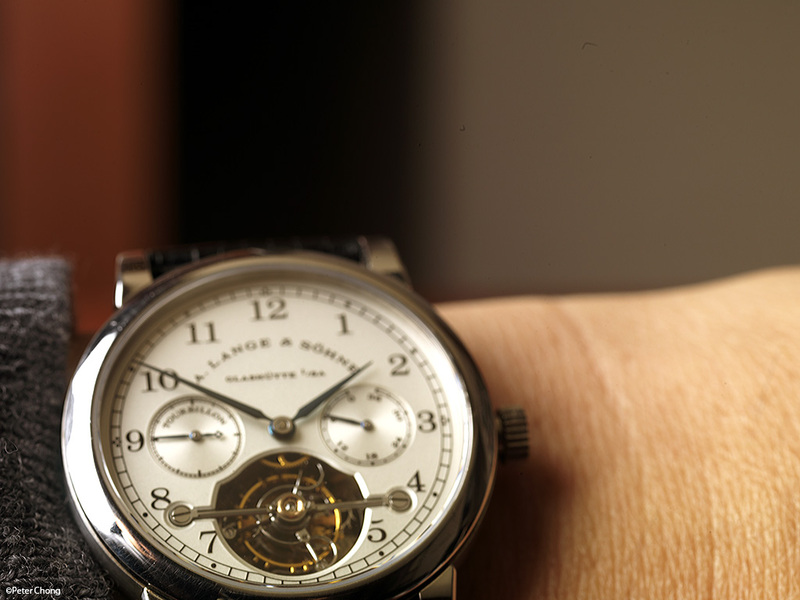 But in the illustrious history of the Lange Tourbillon Pour le Merite, there are 2 such documented occassions, and at least one more undocumented cases. The documented cases are recorded in the company archives, which I accessed to when researching for my book "The Pour le Merite Collection", available here. The occurance of the Little Tourbillon in pink gold, measuring 36.5mm instead of 38.5mm diameter. Recently, an undocumented Little Tourbillon in platinum was discovered as it was offered in an auction by Dr. Crott. 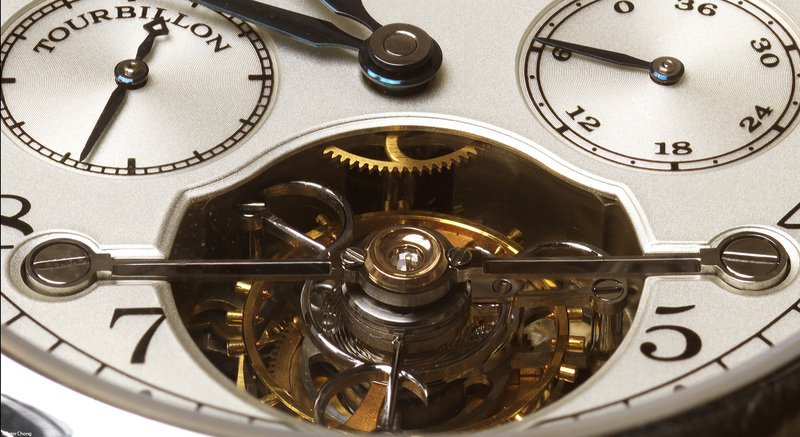 While the pink gold Little Tourbillon was recorded in the archives, the platinum one was not. Another, perhaps more interesting Tourbillon Pour le Merite which is recorded in the archives is one made in Stainless Steel. This speciment is further documented in my book, when I met with the owner, and photographed the watch. More information in the book.